The classic teapot design of the new Leland Collection from Delta offers a variety of stylish faucet options for your bath. Elegant curves create a personal statement, and the cast brass spout gives a solid, sturdy feel, while the new no-gap handles offer easy cleaning. It's a charming teapot collection with a timeless presence. Delta's Less Handle Program allows you to choose your trim and handles to customize the look of your faucet in every room of the house. Repair your DANFOSS brand Shower Faucet easily and economically with the JAG PLUMBING PRODUCTS replacement shower control handle. 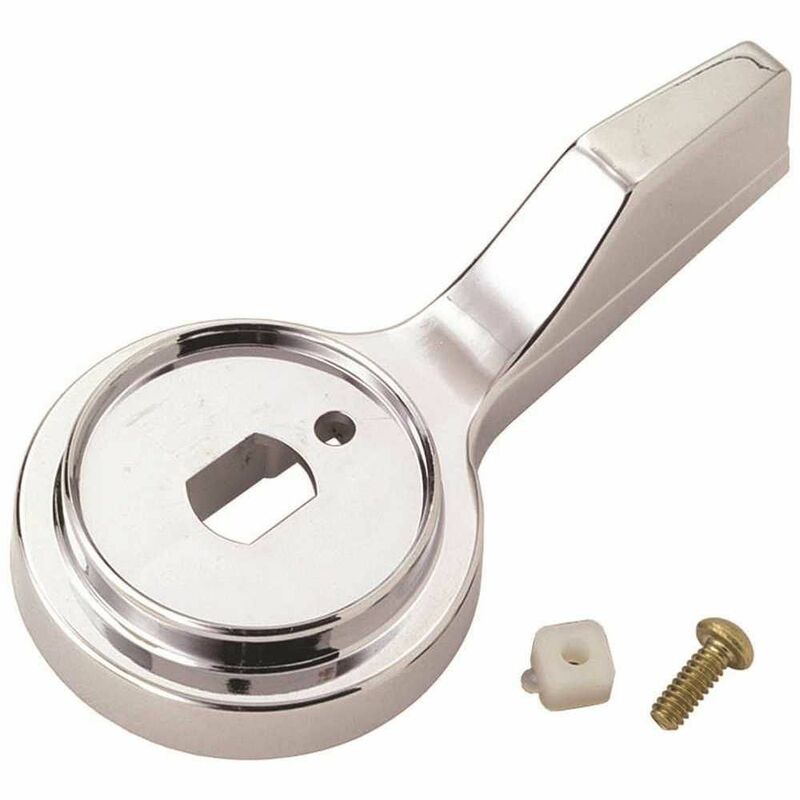 This handle assembly will fit DANFOSS Tempress II, as well as models by Altmans. The Home Depot and JAG PLUMBING PRODUCTS bring on-line Customers the best toilet replacement and repair parts. Experts in the field of non-OEM repair parts; JAG PLUMBING PRODUCTS offers customers a selection of economic solutions for their every-day home plumbing repairs. The Team at JAG PLUMBING PRODUCTS, located in Ontario, Canada, scours North America to bring The Home Depot customers unique, hard to find parts of the highest quality.